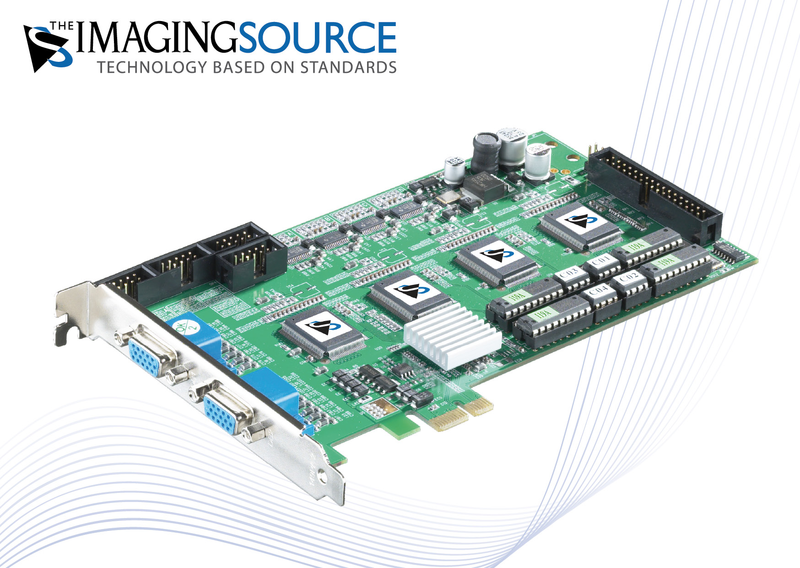 ⋯ (January 28, 2009) - The Imaging Source - an international manufacturer of industrial cameras, video converters and frame grabbers announces today a new series of PCI-Express frame grabbers. The models ship with a number of different video inputs. Some models are available for low profile PC cases. The Imaging Source frame grabbers are deployed for applications in which analog video signals (PAL, CCIR, NTSC, RS-170) need to be processed by a PC. In addition to cameras, such video input devices include ultrasound and x-ray machines. Analog cameras are not only used in legacy applications. Often they are preferred for price sensitive projects, in which long cables are required. The Imaging Source frame grabbers ship with drivers for Windows, the SDK 'IC Imaging Control' and the end-user application software 'IC Capture'. The latter is a powerful software that allows the setting of all frame grabber parameters, the display of live video stream and the acquisition of singular images and sequences.